Sometimes you find art in the most unlikely places. 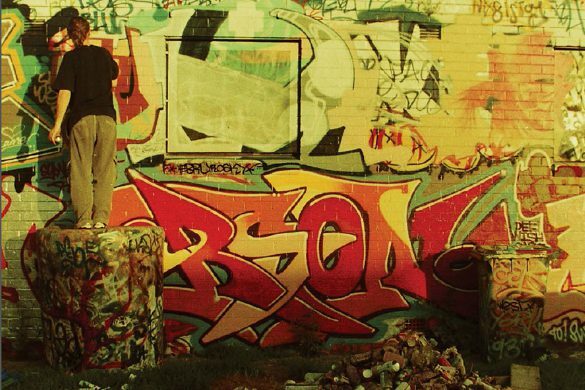 Here’s a 10 step tour of Blacktown that will take you to some of our city’s most creative corners! From left: Funpark 2016, photograph by Audrey Newton; Annemaree Dalziel’s gabion wall and footpath mural by Province, both photographs by Jodie Polutele. 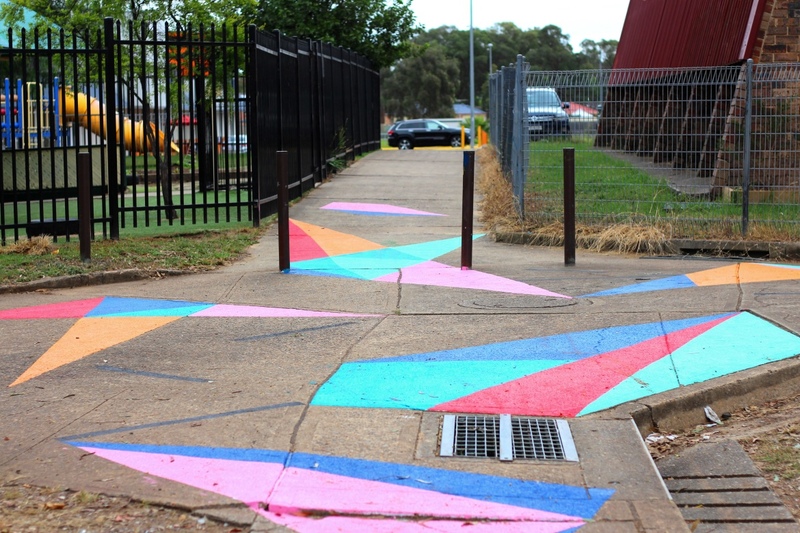 Since FUNPARK first came to Bidwill in 2013, various creative projects have emerged in the area including Annemaree Dalziel’s curved gabion wall – a structure supported by wire cages – and a large-scale footpath mural made by Province in collaboration with the Bidwill community. Designed through a series of structured workshops with children from the neighbourhood, the mural tells the story of the community through abstract patterns. A number of other projects are currently being planned. Watch that space! 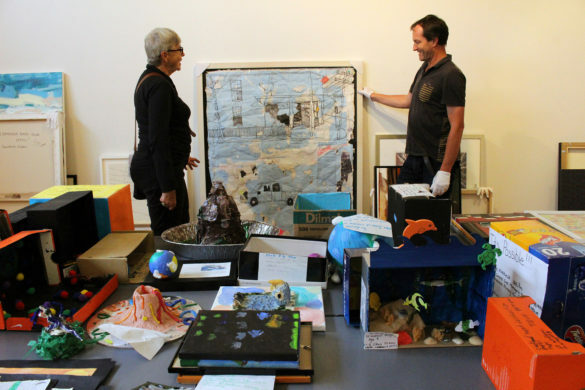 From left: artwork by Donna Brown and Jamie Eastwood, photographs by Aroha Groves. Local artists Donna Brown and Jamie Eastwood have painted large murals on the new water storage tanks at Blacktown International Sportspark. The tanks were built as part of the Angus Creek Stormwater Harvesting and Reuse Scheme, and revealed in 2016. 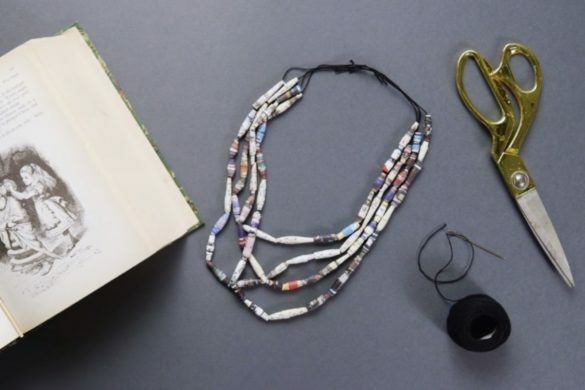 From left: Blacktown Arts Centre featuring Brook Andrew’s ‘Travelling Colony’, photograph by Joshua Morris; Toni Warburton’s ceramic sculptures ‘Risk: Pendulum Actions (arc 3/2015)’ and The Democratic Garden, both photographs by Emily McTaggart. The backyard is also home to Brook Andrew’s large caravan artwork, Travelling Colony, Toni Warburton’s ceramic sculptures Risk: Pendulum Actions (arc 3/2015), and the vertical Democratic Garden, which was first developed in partnership with Urban Theatre Projects in 2014. Blacktown Village Green with artworks by Nerine Martini, photographs by Blacktown City Council. 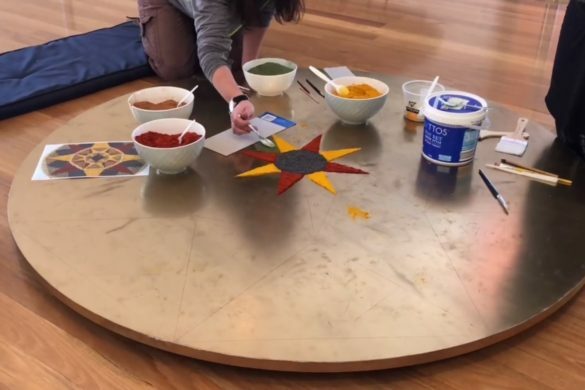 The Village Green is home to a number of site-specific artworks by local artists Jacinta Tobin, Nerine Martini, Tracie Bertram and Robyn Caughlan. Murals at Mount Druitt Swimming Centre, photographs by Blacktown City Council. These murals were created by artists Joanne Saad and Abbas Makrab. Students from Colyton Public School and Chifley College Senior Campus helped design the murals. 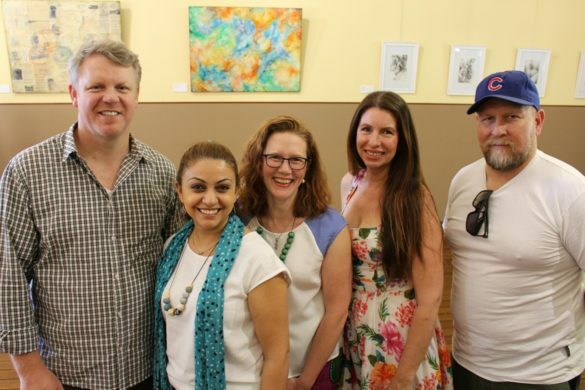 Local artist Leanne Tobin was also engaged in developing the concept and design of the artwork, drawing inspiration from Wiannamatta ‘Mother’ Creek Story (South Creek Story). 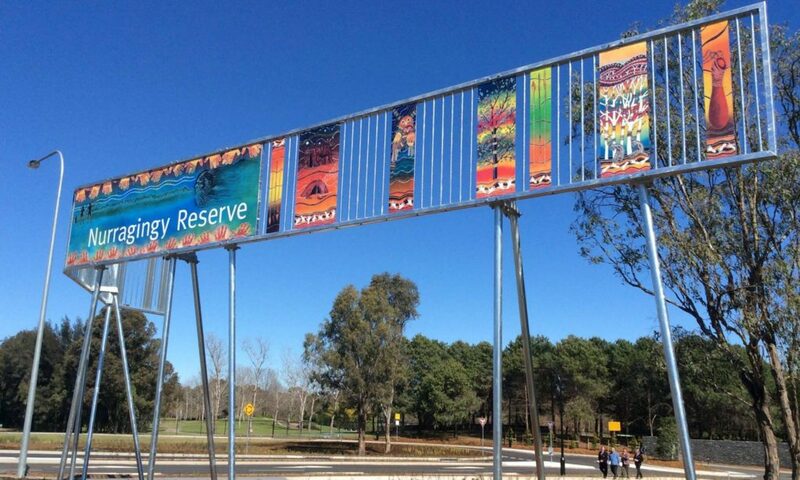 Nurragingy Reserve roadway entry, with artworks by Danny Eastwood and Jamie Eastwood, photograph by Blacktown City Council. The new roadway entry into Nurragingy Reserve, off Knox Road in Doonside, was opened in 2015. The site features 31 artworks by local Indigenous artists, Uncle Danny Eastwood and his son, Jamie Eastwood. The artworks on the ribbon entry symbolise the original history of the site, featuring flora and fauna, the waterways, bushland and recognise the significance of Nurragingy and Colebee. 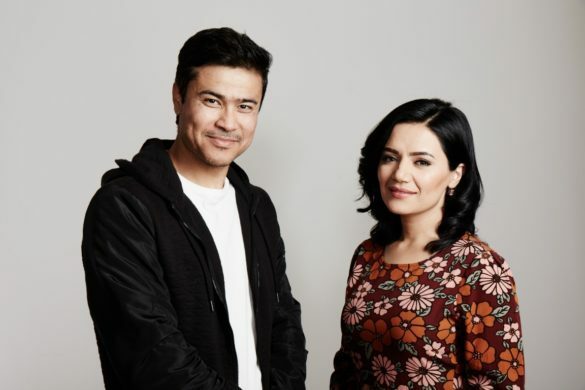 Sarah Dahia in her studio (2016) and Khadim Ali’s studio (2015), photographs by Emily McTaggart. This site has been used as a long-term studio for visual artists-in-residence since 2008. There are currently 3 suites occupied by approximately 6 artists each year. Read more. Charles Lomu, photograph by Joshua Morris. 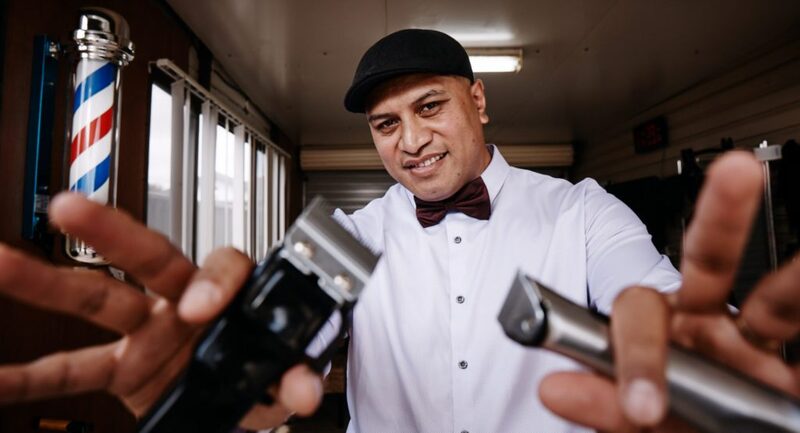 Charles Lomu – local barber, all-round good guy and one of the stars of our recent exhibition Garage Barbershop – practices the fine art of barbering from his own garage in Blacktown. Book a cut with Charles! Legal or not, you’ll find art pasted across the streets of Blacktown. In 2016, artist Wendy Murray wrote an article for Art Guide about her self-made tour of Blacktown’s street art scene. Does Blacktown have its own Banksy? Read more. Blacktown Arts Centre, photograph by Joshua Morris. 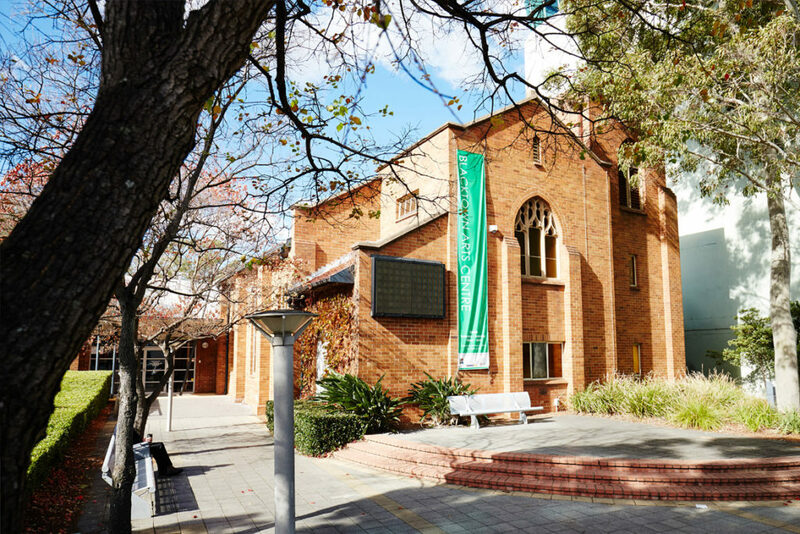 With 2 gallery spaces, a 75-seat performance studio and a workshop studio inside its walls, Blacktown Arts Centre supports artistic innovation and offers exciting, new experiences for audiences through an award-winning curated program of exhibitions, performances, workshops, residencies and events. Read more. Have you seen other pieces art pasted or performed across our City? Tag us in a photo on Instagram/Facebook, or send us a message.